Club: none | Opening: 1999 | Capacity: 74,500 seats. 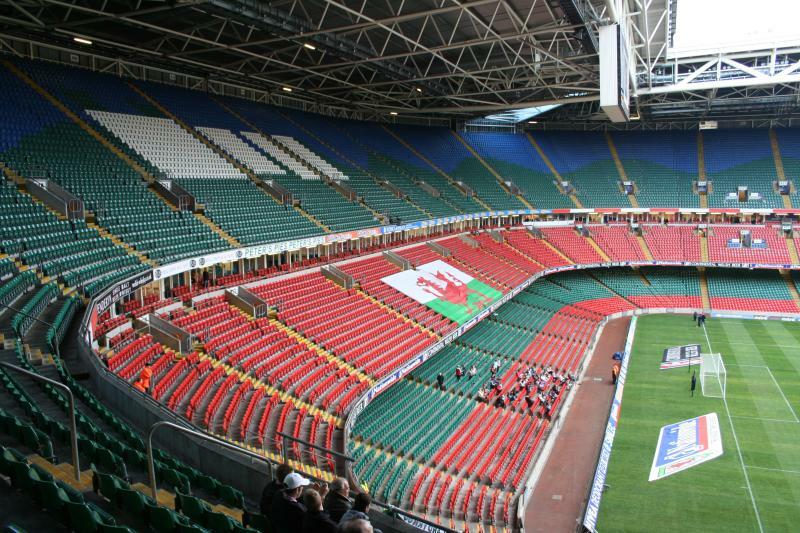 The stadium was built to host the final at the 1999 Rugby World Cup and replaced Wales’ previous national stadium, the Cardiff Arms Park, which by that time had gotten severely outdated and lacked the facilities to stage such final. Construction of the stadium began in 1997 and was completed in 1999 at a total cost of £114 million. 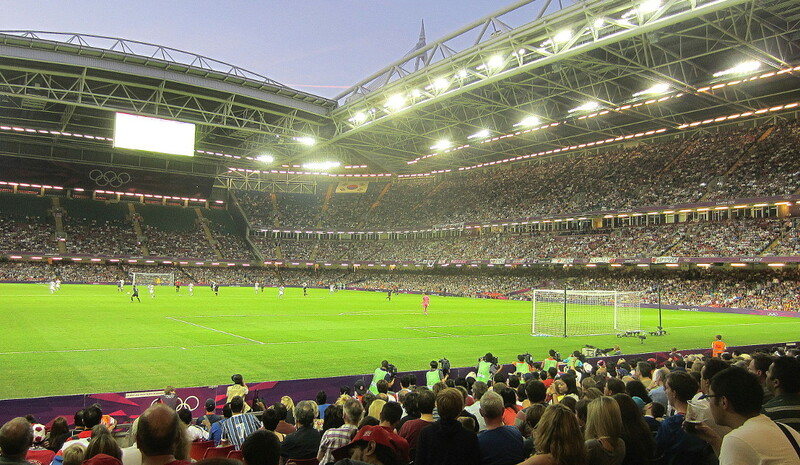 The first match played at the stadium was a rugby friendly between Wales and South Africa. The first football match was a friendly between the Welsh and Finnish national teams in March 2000. In its first decade, the stadium was the standard playing venue of the Welsh national team, however with declining attendances and smaller modern alternatives available in the Liberty Stadium and Cardiff City Stadium, the Welsh team played most of its Euro 2012 qualifying matches at one of these smaller stadiums. In 2016, the stadium changed name to Principality Stadium following a naming rights sponsorship deal. 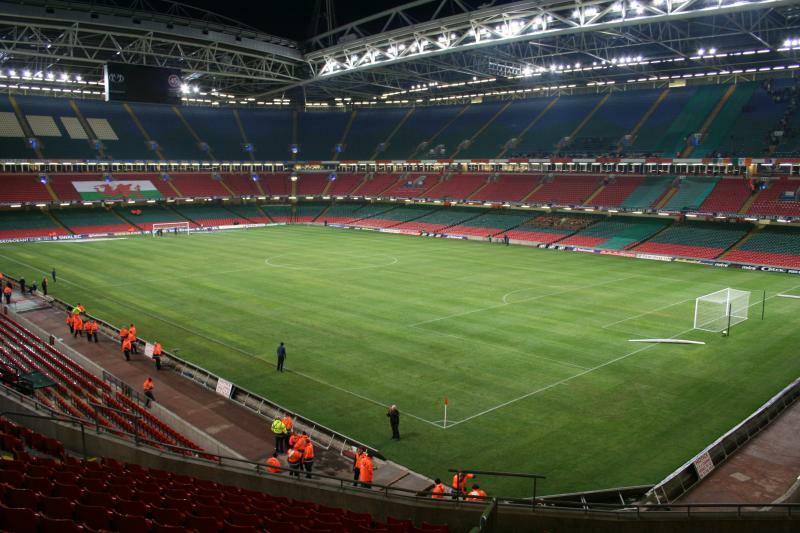 The Millennium Stadium has been selected to host the 2017 Champions League final. The stadium has a fully retractable roof, which can be opened in 20 minutes and is being held up by four 90-metre high masts. The Millennium Stadium is located in the centre of Cardiff almost opposite Cardiff Central Rail station. Frequent trains connect Cardiff with London Paddington, Birmingham New Street, and Bristol. 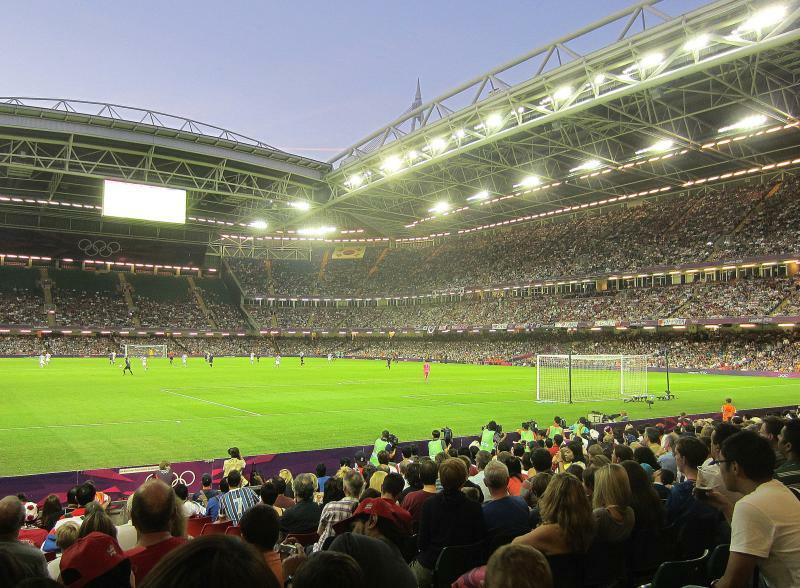 If arriving by car, make your way to the centre of Cardiff and find a parking place, which will almost always be at walking distance from the stadium. The Millennium Stadium’s central location makes that there are plenty of eating and drinking options in the near vicinity of the stadium. Cardiff’s city centre lies just east of the stadium and is filled with pubs, bars, and restaurants. The same is true in terms of hotels. There are many hotels located on all sides of the stadium in various price categories. 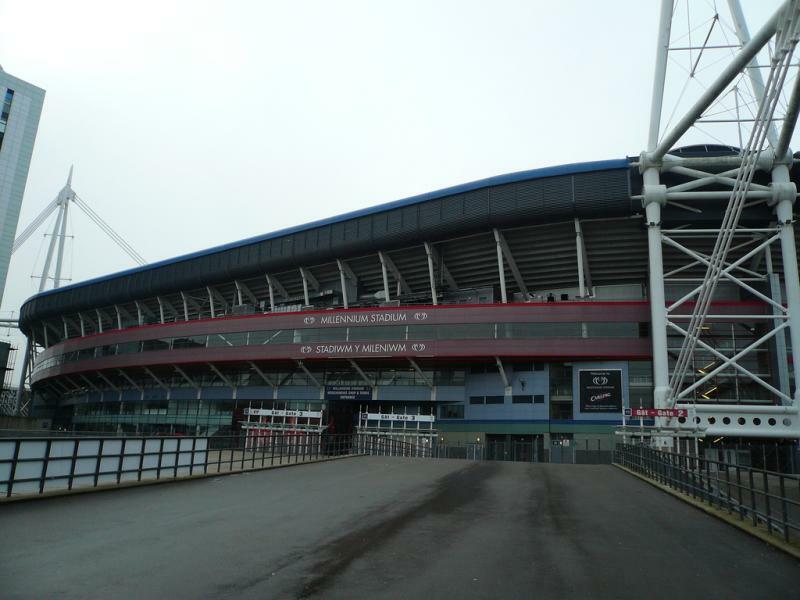 Click here for an overview of hotels near the Millennium Stadium. 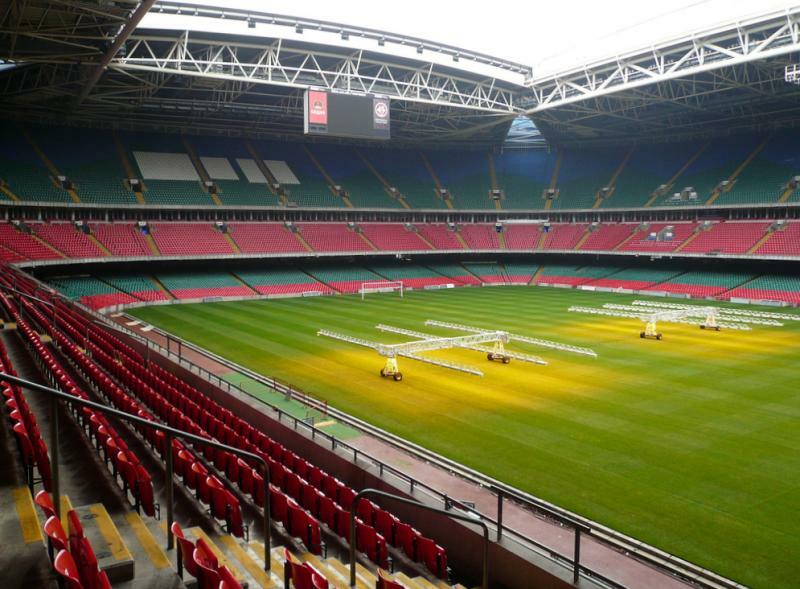 The Millennium Stadium offers guided stadium tours that include the home dressing room, press conference suite, players tunnel, VIP suites, and President’s Box. The tours last between 60 and 75 minutes. Tours run seven days a week up to seven times a day. Check the online booking form for days and times. For more information call +44 (0) 29 2082 2228, or email tours@millenniumstadium.com. The tour costs £12.50. 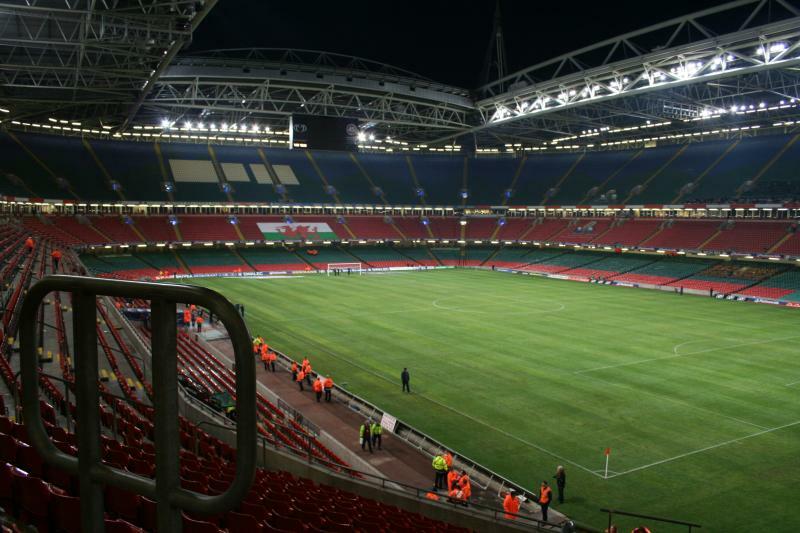 Wales national team tickets can be bought online at the website of the Welsh FA. You can apply for tickets for the 2017 Champions League final on the UEFA official website. Tickets go on sale through an application process that starts on 17 March and closes on 28 March 2017. Naturally, the odds are rather small of actually getting any tickets through the official application process. In that case, your options are limited to getting tickets through official partners (e.g. travel agencies), or the secondary market. The likes of viagogo and Stubhub will always have tickets available and are generally reliable, but obviously expect to pay well over face value. Millenniumstadium.com – Official website of the Millennium Stadium. Visitcardiff.com – Official tourism website for Cardiff. Fantastic stadium right, in the heart of Cardiff. Went to the Ireland v Canada rugby world cup group match in 2015. With the roof closed added, to the atmosphere. On a nice day take a walk through the city centre, down to the harbour. Some beautiful buildings to enjoy. The Millenium Stadium is excellent having a good view from most seats. I have also been to the San Siro,Old Trafford and Wembley and it is in my opinion as good as a experience as any of those I have mentioned. It is easy to get in before game and out after the game, the facilities are very good for refreshments and toilets. All in all a great day even if your team doesn’t win.